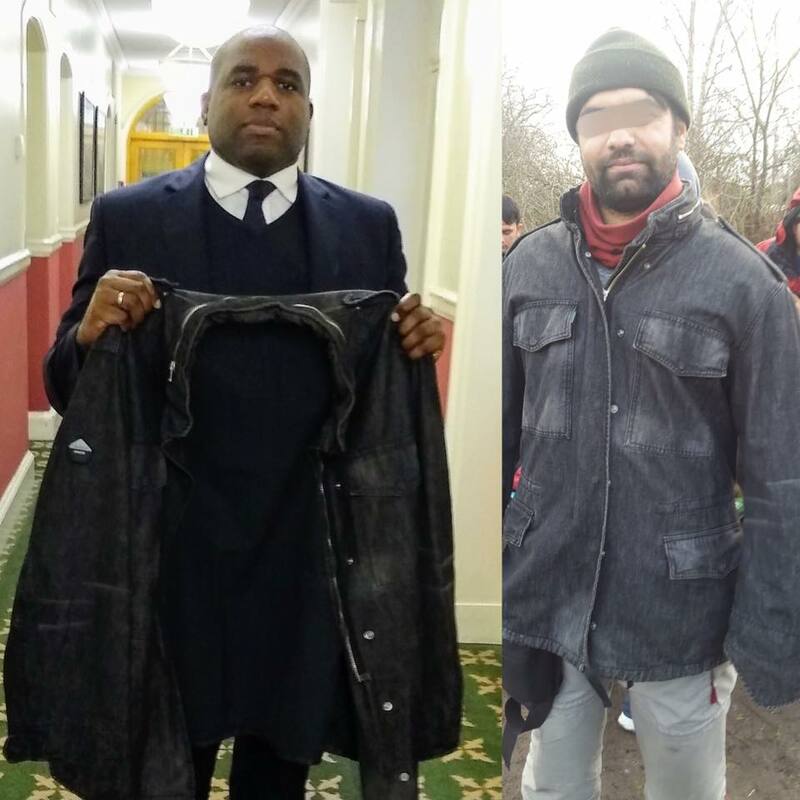 Today we are delighted to have the indomitable David Lammy MP joining our #Coats4Calais campaign by donating this warm winter coat. Our friend Zafar from Afghanistan is also delighted that we have finally found a coat that is big enough to fit across his very broad chest! So thank you so much David, from Zafar and from all of us. There are still thousands of refugees freezing in northern France in this harsh winter weather. If you have a warm coat that you no longer wear, please donate it now to keep someone warm.